December is Full of Handmade Gifts and Surprises! It's Flash Offer Friday again! In my last flash offer post, I mentioned I would be providing an offer every Friday up through the holidays. Annnnnd, when I didn't post an offer last week, the emails started arriving. Some of you were not happy. But, I explained as secretly as I could, there was a reason. A big one. Around the holidays it can get crazy: shopping, family, shopping, cooking, baking, shopping, parties...you get the idea. So, after I thought more about it, I decided combining both offers would give you more bang for your buck, at one time, and well, a little free stuff too! Who doesn't love FREE, right?! Free Standard First Class Shipping guaranteed for holiday delivery only for orders shipping to a United States address. No coupon necessary, simply select this shipping option at checkout. 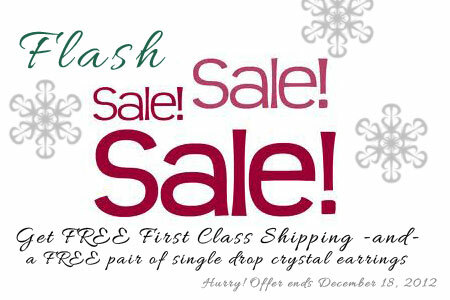 Free pair of single drop crystal earrings are designers' style, choice and will automatically be included in your package. 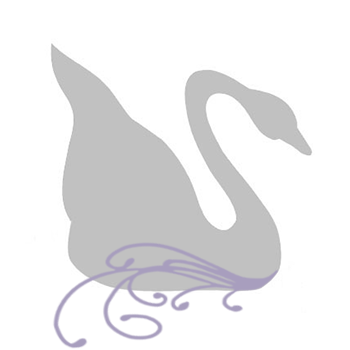 Offer does not apply to previous orders or custom design requests. Offers ends 12/18/12.